J'ai réalisé un projet mais je n'arrive pas à mettre les textures sur sketchfab . Que dois-je faire ? Comment dois-je mettre mes textures ? I realized a project but I can not put the textures on sketchfab. What should I do ? How do I put my textures? What software and file format are you using? Can you please send me a link to the upload? 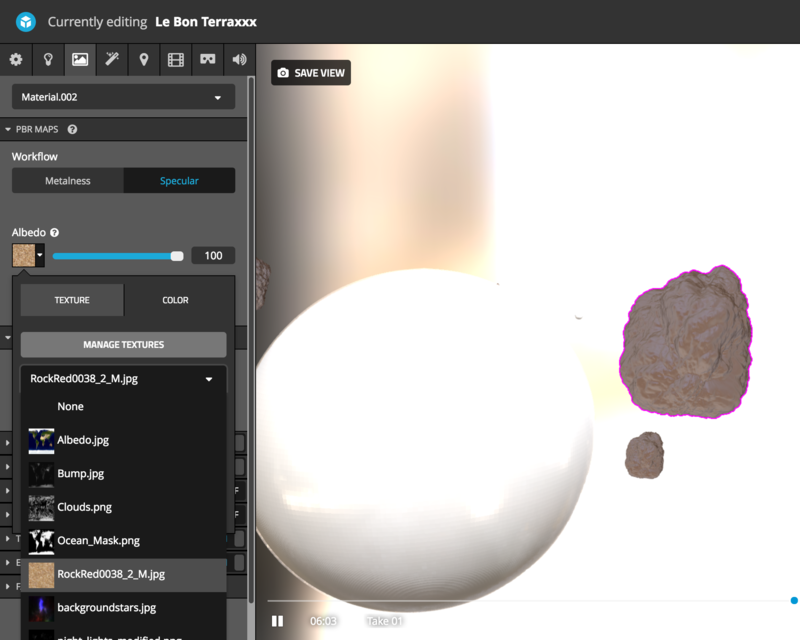 Generally, you can include textures with your model file when uploading, or add them in 3D Settings. Thanks. It's best to use Blender Render with UV unwrapped textures instead of Cycles Render with Cycles nodes. These materials are not well-supported on Sketchfab. Thank you . But i'm noob so if i could have some help like ''vid,tuto,...'' . I'd appreciate it .